First published in 1989, this book tackles a relatively little-explored area of Wittgenstein’s work, his philosophy of psychology, which played an important part in his late philosophy. 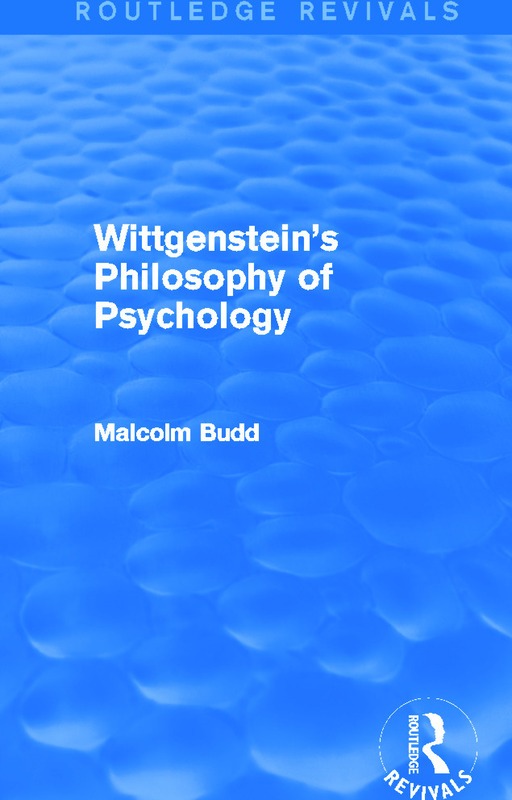 Writing with clarity and insight, Budd traces the complexities of Wittgenstein’s thought, and provides a detailed picture of his views on psychological concepts. A useful guide to the writings of Wittgenstein, the book will be of value to anyone concerned with his work as a whole, as well as those with a more general interest in the philosophy of psychology.